My Interview With Terrence ‘J’ Jenkins & $50 P&G Giveaway! You are here: Home / Expired / My Interview With Terrence ‘J’ Jenkins & $50 P&G Giveaway! I told you the other day that there will be 1 insert in tomorrow’s paper and it’s a P&G. 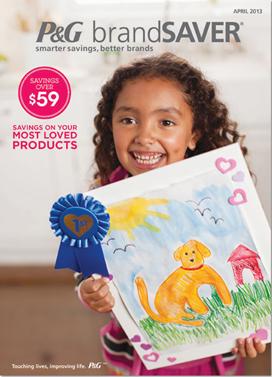 If you would like to see what’s in it, just check out the Coupon Preview page. I keep the current coupon inserts listed in there by week, and insert! I am always surprised at the products that are P&G – I mean from my mascara to the vent clips in my car to make it smell fresh! Not many companies have a product line that spans so many items! This week, I got to interview “E! News” co-anchor, Terrence ‘J’ Jenkins! It was fun! I got to talk to him about the Share, Love, Celebrate the Best of P&G Campaign! P&G is sharing the love and giving away even more products during the Most Loved Twitter Party on Thursday, April 18th at 9 p.m. ET (6 p.m. PT). Simply follow #PGmostloved and RSVP here for the chance to win the grand prize! Now, on to that giveaway! 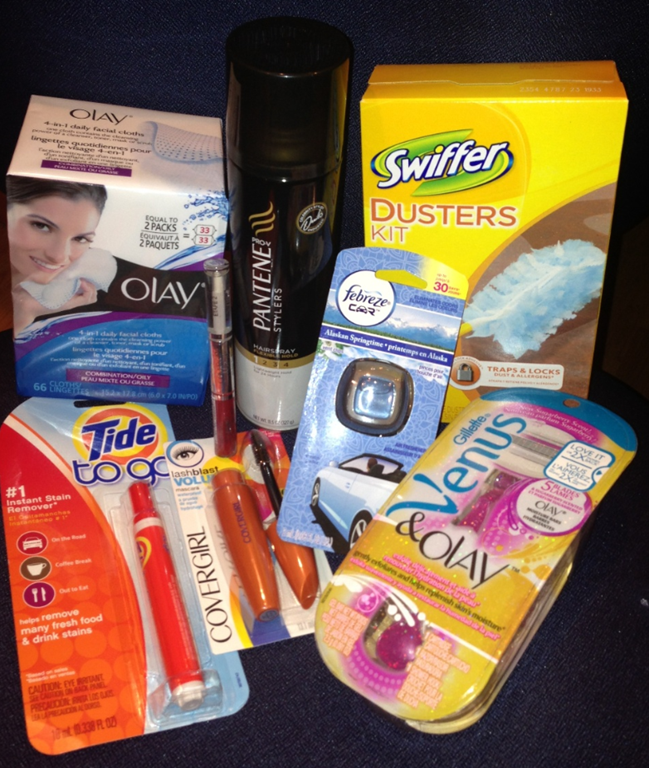 You can win the same bundle of P&G products they sent me! This giveaway will end Saturday, April 7th at 11:59 pm Central time and the winners will be emailed soon thereafter. Make sure you add [email protected] to your address book, so you get the email if you win! If the winners do not respond to my email within 24 hours then another winner will be chosen. This giveaway is open to US residents only, 18 years old and above. No prize substitutions allowed. Winners are allowed to win once over a six-month period. Only email addresses used for the giveaway will be eligible to claim the prize. Be sure to enter our $50 VISA Giftcard Giveaway, too! At this stage of life, we love Pampers diapers and wipes. definitely the covergirl mascara! that’s the only brand I buy! I like everything Olay, especially the Venus & Olay razors. It’s a toss-up between Pantene, Pampers & CoverGirl! My favorite P&G product is the Venus razor…by far the closest shave I can get with a disposable razor! Pantene Pro V shampoo is my favorite P&G item. I like Tide Products the Best! My favorite is Pampers!!! I will not use any other brand.